Please note that this web version does not contain the footnotes and references provided in the printed book. I was lucky. I had no problem conceiving and bearing children. During my first pregnancy, my boss, the president of the Boston-area health-insurance start-up where I was a corporate planner, backed me into announcing my pregnancy during a Friday afternoon staff party, somewhat earlier than I had planned. Amid all the congratulations, one of my coworkers, a woman in her early thirties, part of a huge Boston Irish clan, like almost everyone in the firm, came over to me, her pale skin flushed red with fury, and demanded to know how long I’d been trying to have a baby. Bridget and I had always been cordial at work, but we had never discussed each other’s lives outside the office. I was bewildered by her obvious resentment, and responded vaguely that I’d had no trouble. “Do you know,” she asked bitterly, “I’ve been trying to get pregnant for ten years! Why should you be able to have a baby so easily?” I was twenty-six, among the first of my friends to marry and think about children. I knew almost nothing about fertility problems, about the pain of childlessness in a culture that greatly valued large families. Bridget’s attack was inappropriate, but her pain was real and timeless; I gained an entirely new appreciation for my easy pregnancy that afternoon. Thirty-two centuries earlier, cultures and continents away from Boston, Hannah’s story begins with similar pain. We know the story, of course—Hannah’s desperate prayer for a child, her promise to dedicate him to a life of divine service, how she finds fulfillment in Samuel’s birth. After delivering her toddler son to the high priest Eli to raise in the temple at Shiloh, she continues to visit him and bring him clothing, and goes on to bear additional children whom she and her husband, Elkanah, will raise themselves. 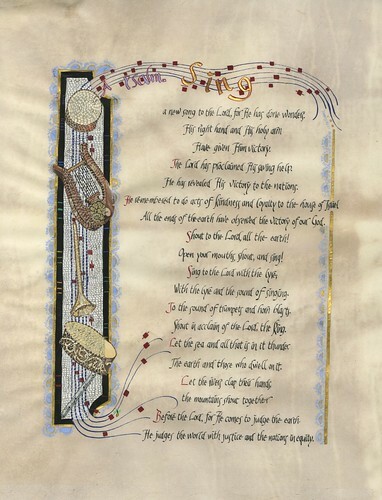 Hannah’s story, the subject of the first chapter and a half of 1 Samuel, is famous for her passionate silent prayer for a child, for her triumphant ode of gratitude to God for his birth, and for her strength in turning the child whose birth fulfilled her prayer over to Temple service. Hannah’s personal tale, however, embodies essential national values and behavior for the nascent Israel. 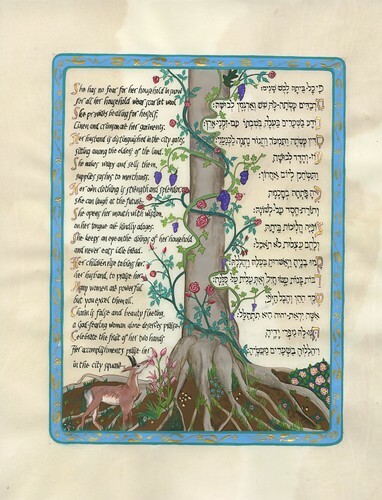 The Hellenistic- and Byzantine-era midrash on the story promotes these moral and religious qualities as models for the community of Israel forever after. 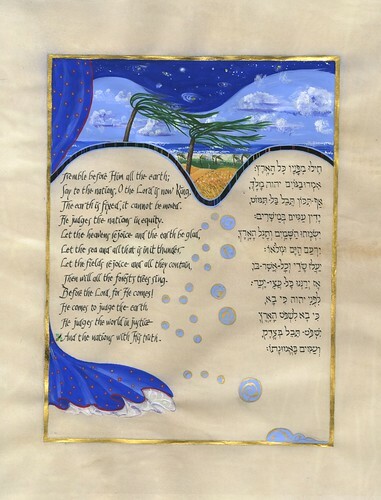 Jewish tradition has thus granted Hannah’s story a prominent niche in Jewish liturgy as the haftarah for the first day of Rosh Hashanah, paralleling the prescribed Torah reading that recounts the birth of Isaac. In his essay in this volume, Arnold Band reveals the literary qualities of the story: how the author used word choice and wordplay to build the tensions and subtleties of Hannah’s predicament and triumph. Before turning to the illuminations, let us briefly explore the origins of the story, the themes and values expressed in it, and its traditional interpretations. 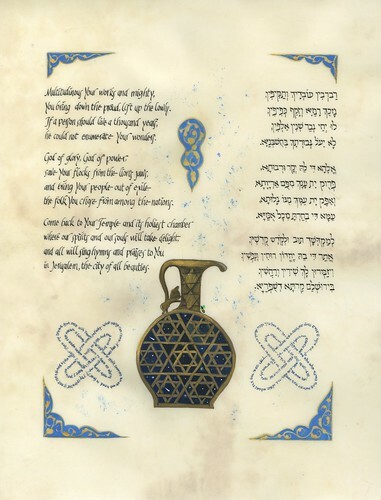 Whether or not specifically quoted in the commentaries herein, any exploration of traditional Jewish interpretation of the simple meaning, the pshat, of the text, begins with the twelfth-century French master Rashi and an array of other standard commentators. However, traditional Jewish understandings of the Hannah story probe well beyond the simple meaning of the text to explore its relationship to the whole body of Tanakh and dig into the moral and religious messages hidden within it. 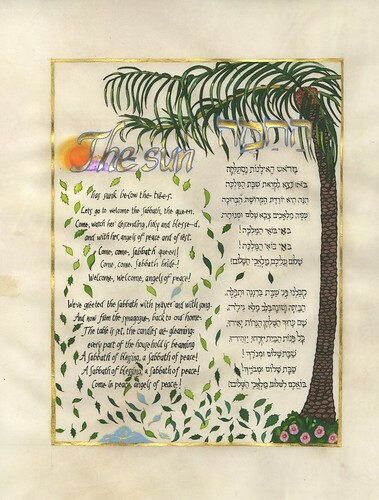 These meanings, as we have seen earlier, are accomplished within the midrashic literature. The primary sources of rabbinic commentary on the Hannah story consulted here include midrash compiled basically for homiletic purposes, as well as pseudepigrapha—Roman- and Byzantine-period retellings and embellishments of the biblical story at hand. 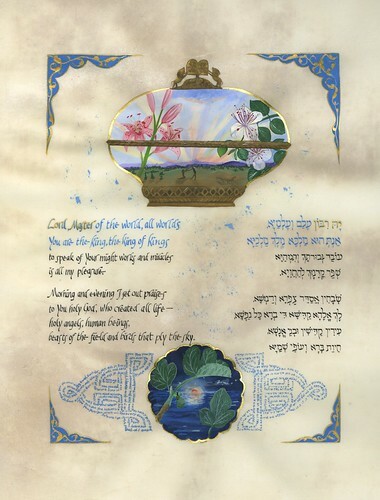 The sources reflected directly in my interpretation of Hannah’s story include the following works, composed in the Land of Israel between the first and eleventh centuries ce: a retelling of biblical stories known as Pseudo-Philo; a compilation of midrash known as Eliyyahu Rabbah; a slightly later midrashic anthology, titled Pesikta Rabbati;and the yet later Midrash Samuel, which may be contemporaneous with Rashi. As you will find, additional, far more contemporary, works enrich particular moments of the story. Hannah’s tale is—unsurprisingly—more complex than a simple moving story of a childless woman finally able to cradle a baby in her arms. Her situation and the values expressed in the tale carry national and religious importance for the historical community sprung from her deeds. So before moving to the tale and its paintings, let us prepare ourselves with a brief exploration of the concerns and values that will be revealed as we illuminate the text. Hannah’s Childlessness. First, let us ask why Hannah’s childlessness was so noteworthy that it begins the story of the man who established the Israelite monarchy. Why must this great leader be born of a long-childless woman? Samuel is not the first Israelite leader born to a woman who had had difficulty bearing children: Sarah bore Isaac at the laughable age of ninety only after angelic prophecy; Rachel was long barren before giving birth to Elkanah’s ancestor Joseph and died giving birth to her younger son, Benjamin; and Moses’ mother, Jocheved, was one of the Israelite women in Egypt who had to coax her husband into marital relations so that she might conceive a child, contrary to that enslaved and reluctant husband’s intent. In each of these cases, Israel’s providential God needed to tweak normal human affairs to create the necessary leader. What was the position of a childless woman in Israelite society? The Iron Age Israelite tribal communities consisted of households that combined complex mixes of generations and familial relationships. Within these households, a spectrum of economic and familial activities took place—including farming, livestock management, household crafts and management, and, of course, child rearing—bent on achieving self-sufficiency for the extended family. We cannot know exactly what tasks were specifically apportioned to women, but scholarship suggests that women were integrated into every aspect of household life. As we have seen in Ruth’s story, proper inheritance of land was a crucial principle in Israelite society, and Israelite wives’ primary responsibilities were to produce the sons to inherit the family portion. In Israel, as in the ancient Mesopotamia of Hammurabi’s Code, if his wife did not produce an heir, a man might take concubines or additional wives.Abraham took Hagar as concubine, and Elkanah married Peninah. Not only might the childless wife suffer humiliation—Hannah’s very situation—but she could well be at material risk upon the death of her husband; we have, of course, seen how Naomi, Ruth, and Orpah were impoverished upon the deaths of their husbands. In the first two chapters of 1 Samuel, we see how Hannah invented silent Israelite prayer to beg for children for her husband, herself, and, indeed, for the God to whom she prayed. Emotions. In a focus unusual in the Hebrew Bible, the storyteller presents us not only with Hannah’s deeds but also with her emotions and, secondarily, her husband’s. Already in the fifth verse, we learn that Elkanah’s other wife is her “rival,” with the power to “make her miserable” about her lack of children. Far from neglecting his beautiful, graceful, but evidently barren, wife, Elkanah fully senses Hannah’s pain and does all he can to comfort her, playfully nudging her—we can almost see him chucking her under the chin—“Don’t I mean more to you than ten sons?” The Mishnah suggests that ten years of married life without children entitled him—in a society in which, as we have seen, proper land inheritance forms a crucial pillar of society—to seek divorce or to take a second wife. Against the backdrop of a healthy, prosperous, probably noisy household, and the mockery of her husband’s second wife, Hannah shrinks into her own bubble of depression. At the same time, we understand the romantic love that draws Hannah and Elkanah together despite the pain of her childlessness. Later, we can imagine the strain that she must have felt at keeping her pledge to send her precious son to be raised by Eli (and it is not a stretch to imagine her anxiety about Eli’s parental competence when she beheld his own sons), and we intuit her joy and fulfillment when she is finally able to raise a family of her own. Private emotion—indeed, that of a woman in a patriarchal society—the author tells us, can take on national significance. Power of Prayer. 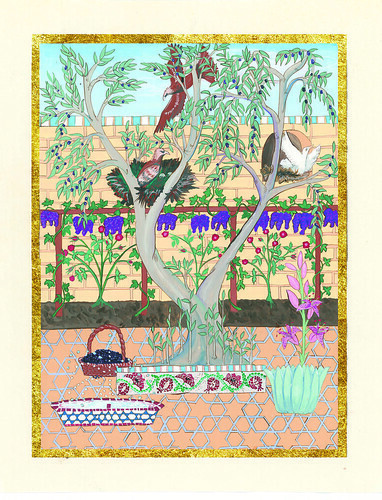 The book begins with the story of Hannah’s fervent, until-now-frustrated desire for a child. How does Hannah finally achieve her desire? She quietly prays to God for children, the earliest silent prayer recorded in Tanakh. We imagine her sitting in a corner of the sanctuary, perhaps rocking slightly, hands reaching urgently toward the heavens, eyes squeezed shut in her intensity, lips moving slightly but silently. Her behavior is so odd that the high priest assumes that she is drunk—he has never encountered silent prayer before: “How long,” he asks contemptuously, “will you make a drunken spectacle of yourself? Sober up!” Mollified by her earnest explanation that she had been “pouring out” her heart to God, Eli softens and responds, “Go in peace … and may the God of Israel grant you what you have asked of Him.” Eli’s words give Hannah the confidence that she will now be granted her wish, and she pulls herself up and accepts food, signaling her rising out of her earlier depression. 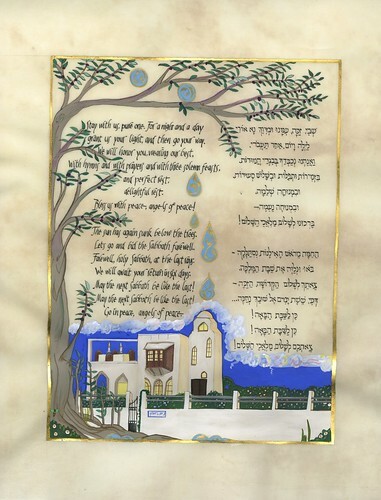 Jewish tradition credits Hannah for inventing two aspects of prayer that day in Shiloh. Most important, her prayer at the temple is considered both the first instance of, and the correct paradigm for, silent prayer. In that prayer, she referred to God for the first time as the “Lord of Hosts,” an attribute that echoes throughout subsequent Jewish liturgy. 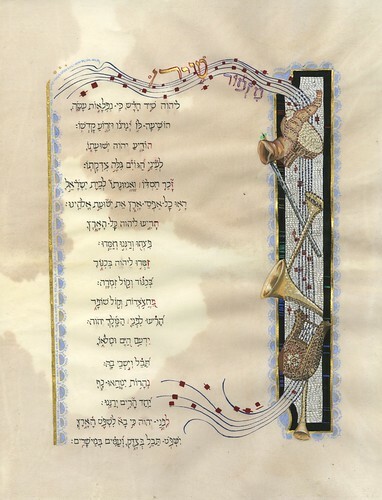 The Mishnah Berurah, an authoritative early-twentieth-century commentary on the sixteenth-century Shulḥan Arukh (a central guide to Jewish life and ritual practice compiled in sixteenth-century Safed), points to Hannah’s example in laying out the correct method of silent prayer for the silent Amidah prayer, as well as others uttered not quite silently but under the breath so that surrounding worshipers can focus on their own devotions, with lips moving to shape each word deliberately. Silent prayer—according to its author, Rabbi Yisrael Meir Kagan, otherwise known as the Hafetz Haim—is an act of faith that God can hear our most private thoughts. While Hannah’s public cry of triumph, her song, attracts little special attention, the prayer that flowed from her most private anguish becomes a model for the entire nation of Israel forever after. Eliyyahu Rabbah suggests that as many as sixty households eventually accompanied Elkanah’s family on the seasonal pilgrimages to Shiloh, greatly advancing worship of Israel’s God during this difficult era. It is Hannah and Elkanah’s kind of righteousness, the good deeds and good name and divine favor passed on to their son Samuel, that garner the authority necessary to build the unified Israelite nation from the disparate tribes. Land, Sacrifices, and Values. Hannah’s story, the story of the birth of Israel’s most crucial prophet, rests upon the centrality of the land in Israelite culture. She needs children because her credibility as a woman rests upon her ability to produce sons to work and inherit the land. She offers her prayer for children not casually or spontaneously in her own home but at Shiloh, where her family sacrifices the bounty of their land to Israel’s providential God. Her prayer is another kind of offering. Later interpretations of the story found Hannah and Elkanah’s merit to sire Samuel on the religious ethics expressed in Elkanah’s encouragement of sacrificial practice among less observant families. Care for the land and its produce—and the sacrifice of its produce to the providential God—forms the roots of Israelite life. Thanking God for the benevolence witnessed by rich harvests is the reason for the annual pilgrimage to Shiloh. While Elkanah offers lamb, grain, and oil in the prescribed sacrifices, Hannah offers words in silent prayer—according to Jewish tradition, for the first time. Now let us turn to Elkanah’s household, to hear and see Hannah’s pain at her childlessness … and join in her fulfillment at the birth of her precious eldest son, this first, formative prophet of the nation of Israel.